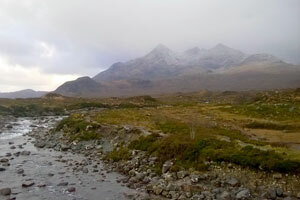 As well as our standard tours we also take walking groups to their start point and return to pickup at the end of a great days trekking any where on the Isle of Skye or West Coast mainland. OUR PRIVATE TOURS RUN ALL YEAR ROUND - Pick up from Inverness, Ft William, Ft Augustus etc. We can custom build tours to suit your requirements, taking you to all the places you want to see. Hire the bus for a half day, a whole day or for several days. Some of our regular customers include family groups, honey moon couples, cruise ship parties, hill walking groups, wedding parties, wildlife watching groups, bird watching clubs, geology and biology study groups. Popular destinations on Skye for the private tours include Dunvegan Castle, Fairy Pools, Glen Brittle, Neist Point and Talisker Distillary. 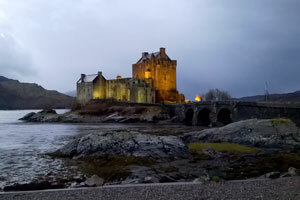 Popular mainland destinations include Eiean Donan Castle, the Glenelg Brochs, Gairloch, Ullapool and the West coast. We can collect you from Inverness airport and take you where ever you want, on your very own customised tour. We can drop you off at a location of your choice for a day’s walking, pick you up later and transfer you to your accommodation. Just tell us what you want to do, where you want to go and we will work out the rest. Contact us to discuss itineraries and prices. We can’t wait to hear from you. NEW for 2018 -The World Famous Applecross Inn - Boat in, boat back, for lunch or an evening meal.